We've all heard it - "There's no tired like teacher tired!" - and it's so true... especially this time of year! The more tired I am, the harder it is for me to be positive and energetic with my students, especially the students that have challenging behaviors. I know I am not alone in this struggle! 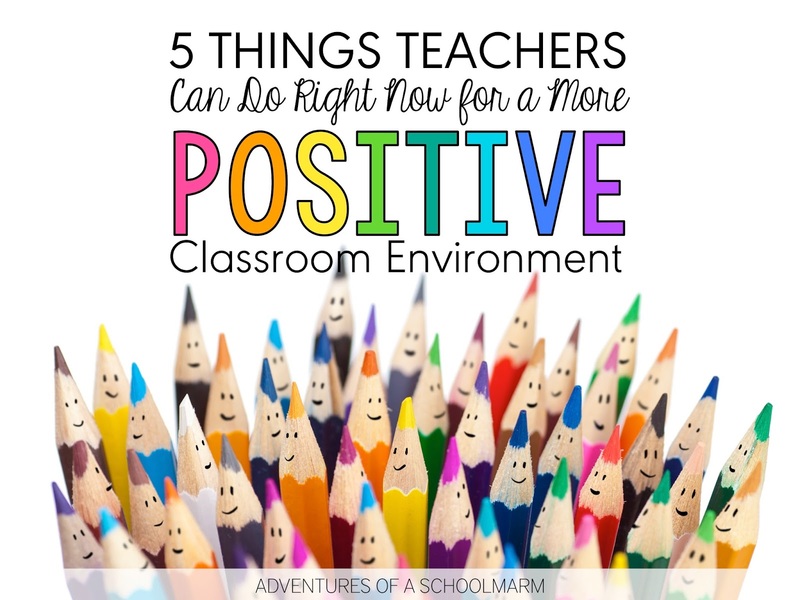 However, while it is challenging and definitely doesn't happen instantly, I truly believe that having a positive classroom is within our power. Try these 5 research-based strategies today to transform your classroom into a more positive place for all students. They have changed my classroom in the best way possible! These practical strategies are the backbone of my classroom management system. My favorite part is they don't really require any time to prep and you can implement them immediately. You can literally try them the next day you work with your students! The first strategy you can even try today! Christmas is one of my favorite holidays to celebrate in the elementary classroom. The season itself is filled with hope, joy, and love. It's also a perfect time for students to focus on being generous to others and thankful for their blessings. I love to include lessons specifically teaching them about the historical origins of our modern-day holiday traditions. 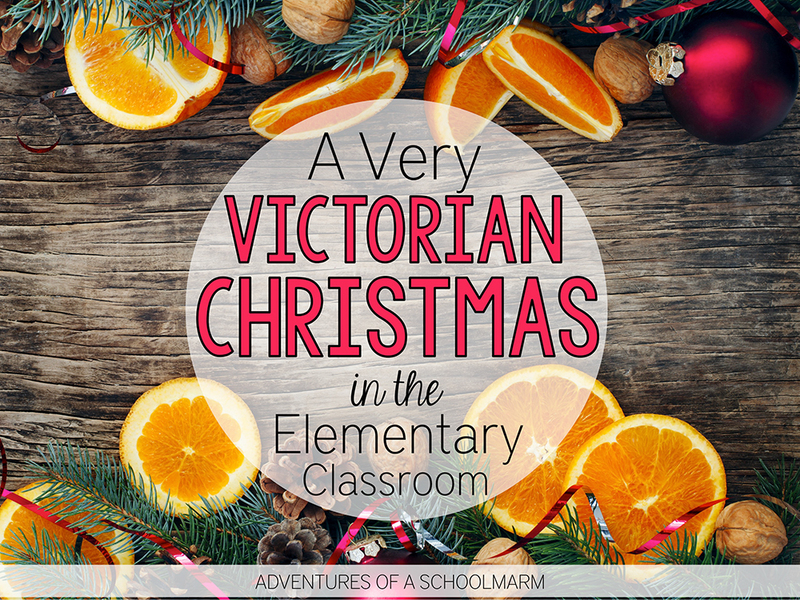 Many of our modern-day Christmas traditions were born in Victorian England. It's hard to believe, but before the the 1800s, Christmas was not celebrated in the same ways we celebrate it today. People didn't decorate trees in their homes, send greeting cards to one another, or give presents for the holiday. By the beginning of the 1900s, Christmas had grown into a widely-celebrated holiday with traditions that we still follow to this day! Activating schema, or prior knowledge, is the foundation to helping students understand what they are reading about any topic. One of the more popular graphic organizers to record students' prior knowledge on a topic is a KWL Chart or a KWL+ Chart. I have used these charts many times to help my students record their thinking and learning about a new topic, but I've frequently run into a specific problem with them...What do you do when the kids think they know something, but as the teacher, you know it's totally wrong?! Do you correct the students right then? Or do you move on? What's the best solution to correcting their misconceptions? Schema Maps provide the perfect solution to this problem! This strategy encourages students to record their prior knowledge and their new learning. Schema maps require students to distinguish between information that is expanding upon something they already knew and information that is brand new learning. Schema maps also require students to identify any of their prior knowledge that is a misconception and explain why the information is incorrect. I love schema maps because they have really helped my students deepen their knowledge in different content areas and they are super easy to create. 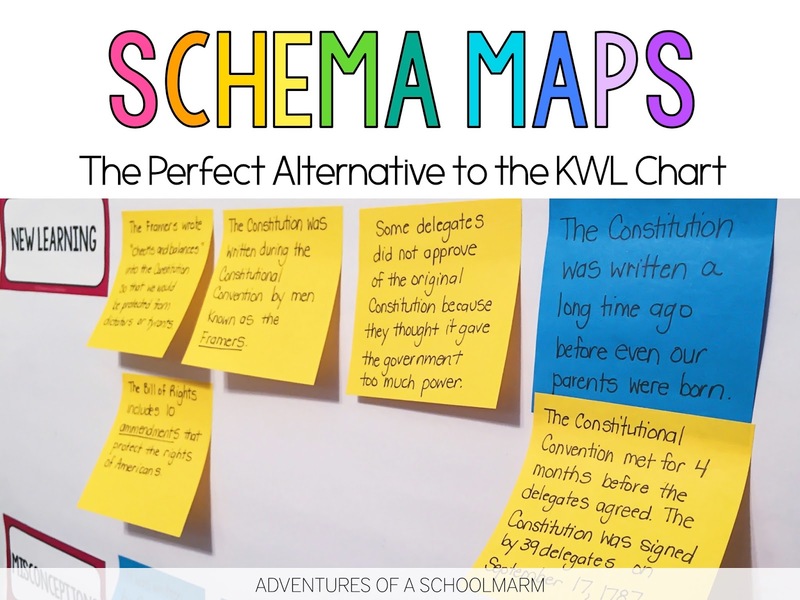 This post will tell you exactly how you can get started using schema maps in your own classroom!